When you look at yourself in a mirror, nearly everything you see is a part of the integumentary system. 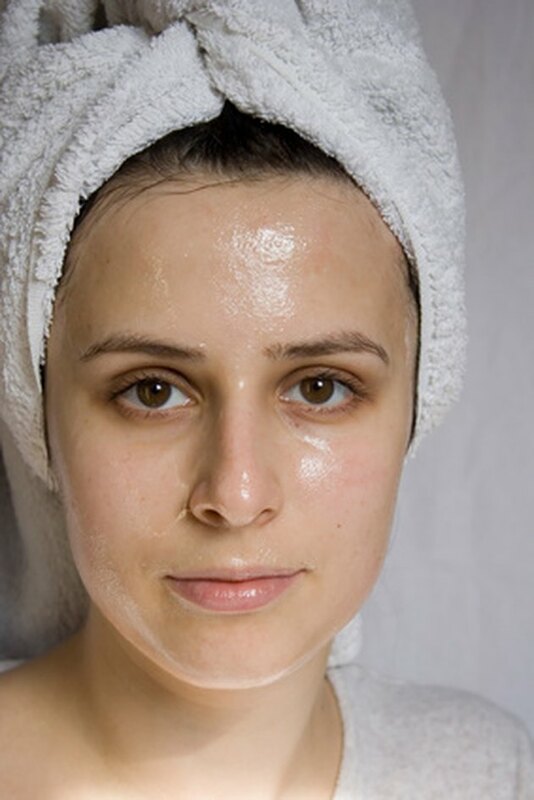 It consists of your skin, hair, nails and various glands, such as sweat and oil glands. Taking care of this body system will benefit your overall health and keep you looking young. Bathe every day and wash your hands regularly. Keep your skin and nails clean to prevent infections. Avoid using harsh soaps, hair treatments and other irritating chemicals, as they will cause excessive dryness. Water that's too hot will have the same effect, so use warm water in the shower or bath. Cut your fingernails and toenails straight across after bathing to avoid hangnails. Apply sunscreen before you spend time outdoors. Choose a formula that protects against both UVA and UVB radiation and has an SPF of 15 or higher. Over time, too much sun exposure contributes to wrinkles, skin cancer, freckles, aging and dilated blood vessels. Avoid using tanning beds because they are also damaging to your skin. Eat a healthy well-balanced diet. Foods that are rich in antioxidants are good for your skin, according to Georgia Health Info, but consuming a lot of meat can contribute to wrinkles. Eat a variety of fruits, vegetables, nuts and fish. Remember to stay hydrated by drinking plenty of water. Examine your entire body on a regular basis. Check for abnormal growths, signs of skin cancer, and anything else that looks out of the ordinary in your skin. See a dermatologist right away if you have an unusual sore that isn't healing properly. You should also consult a doctor about a mole that is larger than 1/4 of an inch across or has an irregular border, uneven coloring or a rough surface. Avoid wearing things that are too tight on your body. Pick shoes that fit your feet properly, because a tight fit can cause ingrown toenails that become painful and infected. Clothes and jewelry that are too constricting may interfere with blood circulation. Don't put rubber bands in your hair too tightly, or they will break individual strands of hair. Don't smoke cigarettes. Smoking causes wrinkles and ages your skin. It constricts blood vessels, which prevents your integumentary system from getting the nutrients it needs in order to be healthy. Georgia Health Info: Healthy Skin--What Role Does Diet Play?